Today was my weekend session with my bootcamp family and all I can say is Wow!!! We met at my favorite weekend location, South Beach! I was expecting some running and maybe a mix of upper body exercises to go with an insane amount of bear crawls on the sand as we usually do when at SoBe. But today I was wrong! Before starting our work out we gathered around and were told we would be running 10 miles. I immediately thought, “that’s supposed to be my run tomorrow”! However I was happy to be running with a change of scenery. We started out on South Pointe Dr and headed to the McArthur causeway leaving the beach. It was a beautiful morning. Sunny, breezy and maybe in the mid 70s. For Miami, it was great weather to be outdoors. 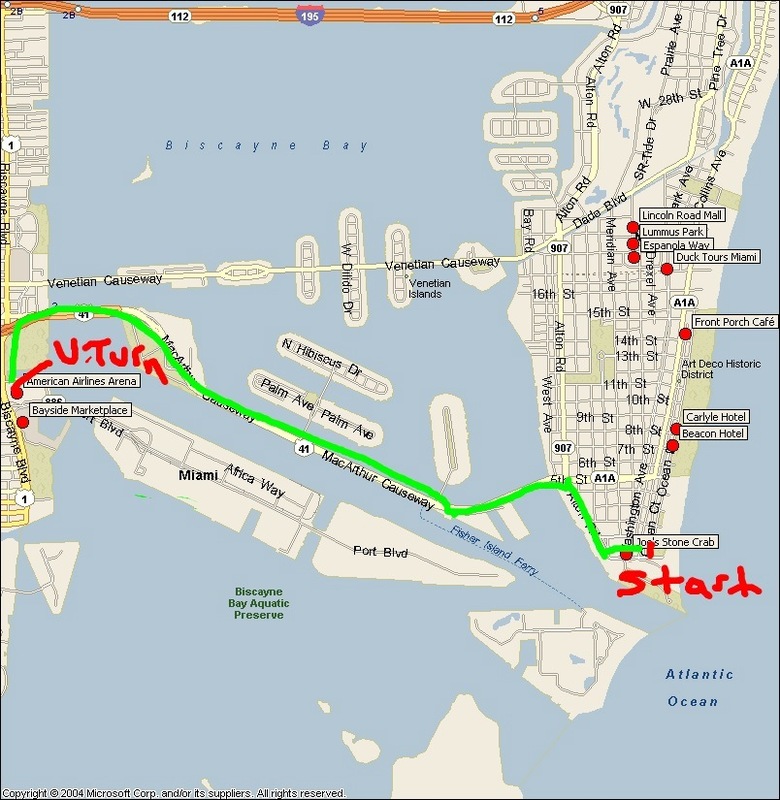 We continued our run on the McArthur bridge and into downtown until we got to the steps of the American Airline Arena where we made a U-turn and did it all over again back to South Pointe Dr. I felt good half way, even picked up my pace on the way back. I made decent timing for 10 miles and still felt great when finished; boy was I glad because we still had push ups to do!…… Now all I need to do is figure out what I’m doing for my Sunday workout. What I do know is that I have bought all my ingredients to make two different types of healthy desserts. Sweets are my weakness so I’m always thinking of ways I can make healthier versions of desserts I enjoy. I will be making pumpkin cupcakes and believe or not, black bean brownies!! So stay tuned…..